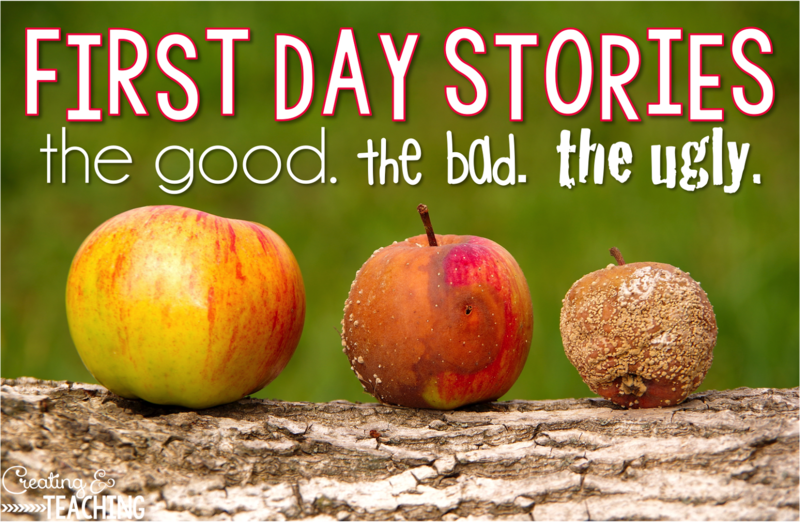 A few other bloggers and myself got the great idea to blog about a story, or multiple stories from the first day of school-- the good, the bad, and the ugly. We all have first day of school stories, whether they are successes or (in our minds) failures. Lets face it, we're just as nervous as the kids are on that first day, if not more, only the kids don't know any different so they can't tell. The classroom might fall apart and crumble, but the kids can't tell. You might have forgotten to copy something you had planned on using so you skip it, but the kids can't tell. You might have goofed the words to your hello song as you tried to present yourself as a stellar vocalist to your class, but the kids can't tell. I always remind myself of that when I'm teaching. Even if I goof, the kids don't know. They don't know what I had planned for them to do that today so the secret is always safe with me. BUT regardless of what the kids do or don't realize, WE know when something goes wrong, and let me tell you-- something went wrong this day! And unfortunately I wasn't the only adult in the room and this secret was NOT safe with me. I'm sure we all have bad stories from our first year teaching, but I will never forget this one. 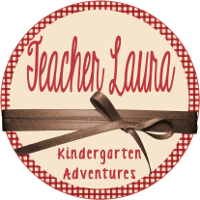 It was the very first week of school, in my very first classroom, and I was being trusted with 12 little ones, 10 with IEPs and I only had an aid with me for part of time. Meaning, I was on my lonesome a good chunk of the day with 12 four year olds. At that time our school district was referring children with autism out to another program. The protocol called for 2 people from that program to come to our school and observe the child in the classroom. First week of school, in my very first classroom, and I have 2 people observing me on my lonesome with all of these littles. It was center time and I was doing the best I could to show what was at each center, manage sending students to centers after they made their selection, and manage what was going on in each center. Shew I'm sweaty just thinking about it. I was ambitious. I was going to have the best centers. Students were going to LOVE centers. The toy area was filled with toys, the book area had awesome giant Winnie the Pooh Characters, the house area had dress ups, the block area was filled to the brim with blocks, the sand table full with shovels and buckets, and I was even letting them paint in the art area. I was awesome. Did I mention I was by myself? Centers started out well, they were observing, I was busy and they could tell, but managing. Kids were playing I was bouncing around from center to center assisting as needed. Maybe running from center to center I can't remember. The student they were observing was playing trains- his favorite. He was content. Until someone took his train. Then a child ate paint. Students were most likely fighting over the stuffed Winnie the Pooh characters, and I believe a hint of whining was happening at the sand table. I didn't have the best centers. I couldn't manage it. I couldn't be all places at once (well no teacher can), but this group of kiddos certainly required more support that I could provide by myself. But it was the group I was given with the support (or lack there of) that was available to start the school year. While I tried to maintain composure and address all issues as best I could, the very sweet ladies observing looked at me and said, "Where's your help?". They chuckled, to make light of the situation I believe. I felt they could tell I was trying my best, but they knew as well as I did that more support was needed. I'm unsure if they had a word with the principal on their way out or not, but shortly there after a second part time aid was hired and I had help in my classroom for a majority of the day and I was beyond thankful for it. I'm sure there are worse horror stories out there, but for me, this is the bad and I'll never forget it. 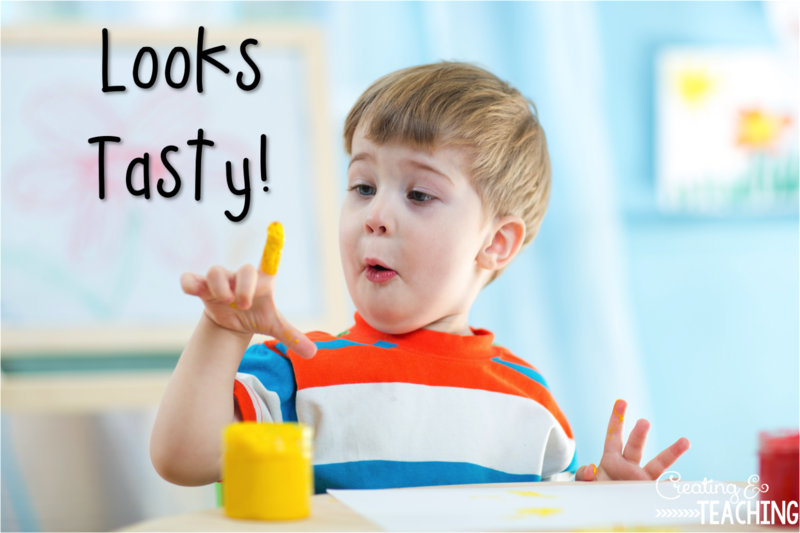 These other bloggers are also sharing some of their First Day Stories with you! I can't wait to read them!